On this day in history, May 30, 1778, Iroquois Indians win the Battle of Cobleskill when they destroy the settlement of Cobleskill, New York. The Battle of Cobleskill was the first move of a major Iroquois campaign against colonial settlements in western New York and Pennsylvania. 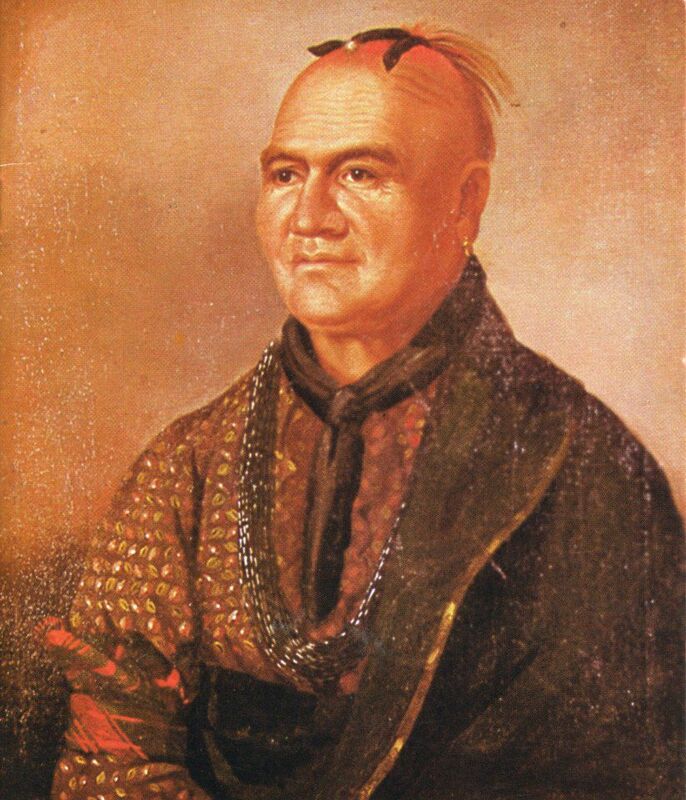 Joseph Brant (his English name), also called Thayendanegea, was an Iroquois leader who had strong ties to Great Britain. He had traveled to England and had a personal meeting with King George III a few years earlier. His parents were also Christian converts, hence, the westernized name and connections. 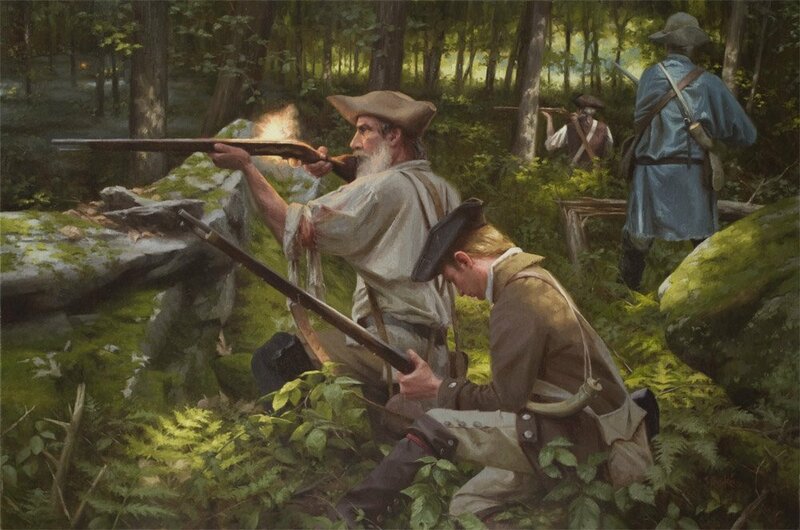 After the disaster of General John Burgoyne's invasion into New York from Canada, the British Canadians began supplying Iroquois and Loyalist supporters in their fight against the patriots in New York. Brant helped plan a major campaign against the settlements in the region. He was adamant, however, that only militia or Continental Army soldiers be targeted. Settlers, women and children who did not resist were to be allowed to leave the area without being harmed. Brant intended to attack Cherry Valley, New York, but was deceived into believing the village had more defenders than it actually had. He settled on Cobleskill, a small village of 20 families on farms along Cobleskill Creek in present day Warnerville, New York. Cobleskill was defended by local militia under Captain Christian Brown and a few dozen Continental Army soldiers under Captain William Patrick. On May 30, 1778, the Iroquois attack began with a trick. A small band of Indians showed themselves at a distance from Cobleskill, causing the soldiers to take off after them. Captain Brown warned Captain Patrick this might be a ruse, but Patrick pursued the Indians anyway. 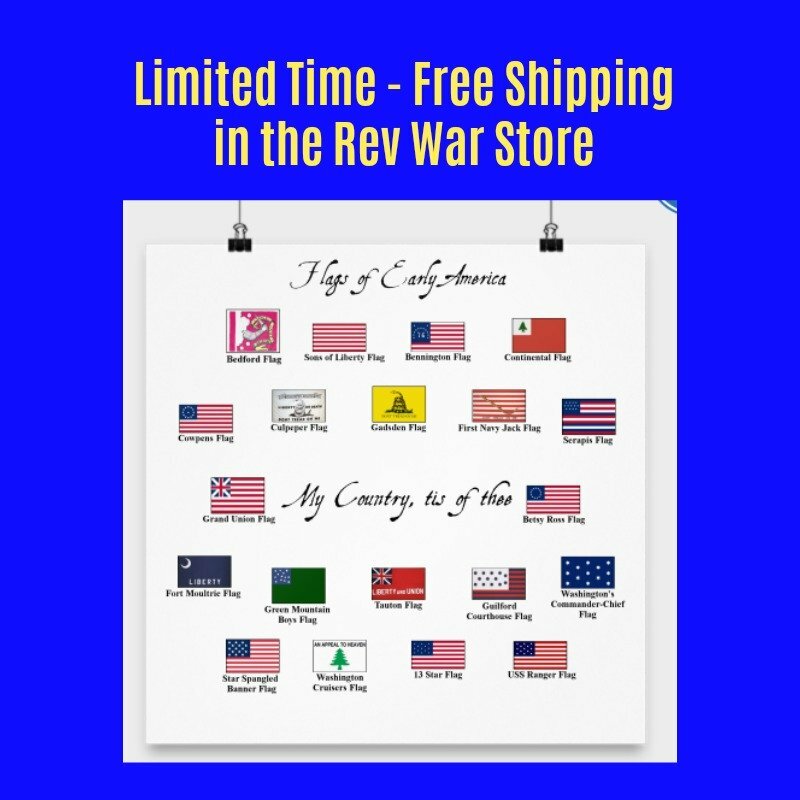 Patrick's troops chased them for about a mile before the trap was sprung and a large force of 200-300 Indians and Loyalists came out of the woods and surrounded the pursuers. Patrick and half his force were killed. The Indians then turned on the village, which was still being defended by Captain Brown. 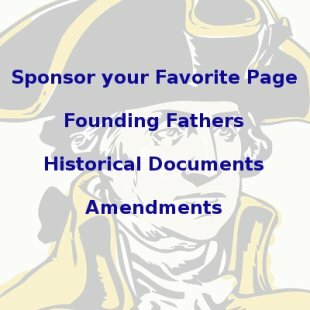 Several soldiers hid in the home of George Warner which was burned down, killing them all. Many of the other homes in the village and their outbuildings were destroyed. Crops and livestock that could not be carried off were destroyed. When it was all done, Cobleskill was destroyed and 22 settlers were killed. Approximately 25 Indians and Loyalists were killed. 5 settlers were captured by Brant and given the option of integrating with the Indians or being sent to the British Fort Niagara as captives, which is the option the captives chose. After the Battle of Cobleskill, the Iroquois raids continued against villages and forts along the New York and Pennsylvania frontiers, including what some call the worst atrocity of the American Revolution, the Cherry Valley Massacre, in November of 1778. The Iroquois campaign finally drew the wrath of the Continental Congress which authorized a major expedition against them. The Sullivan Expedition, named after General John Sullivan, began in the summer of 1779 and destroyed dozens of Indian villages. The expedition had little overall effect on the war, however, because most of the Indian warriors, though their homes were destroyed, were not killed and survived to continue the fight.